One befitting King Richard I the Lionheart “Coeur de Lion” the greatest leader of the Third Crusades and master battlefield tactician. 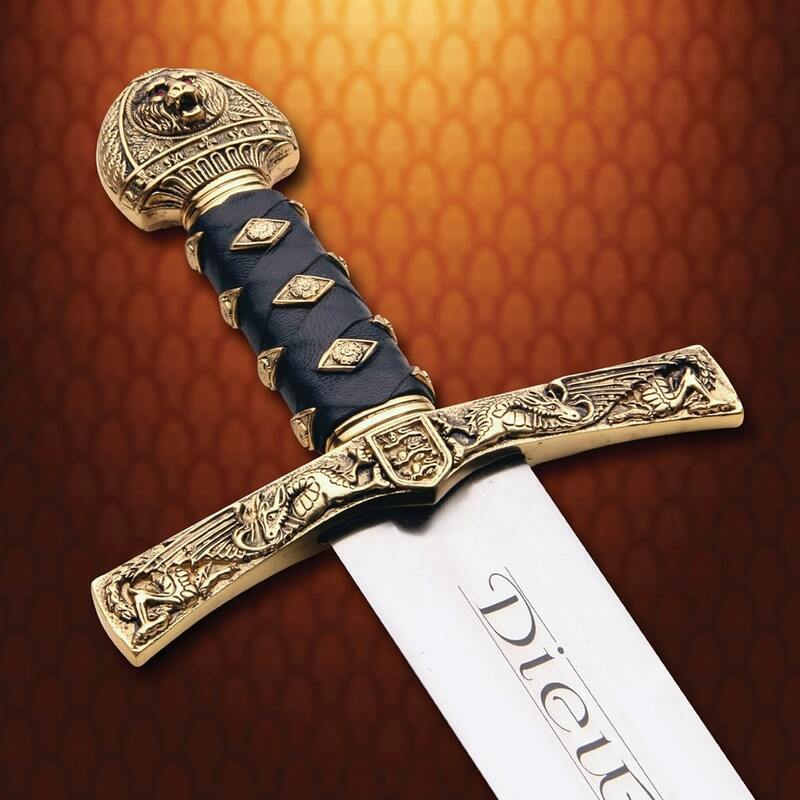 Forged in 1065 high carbon steel etched with his Latin motto ‘Diet et Mon Droit’ meaning ‘God and My Right’. 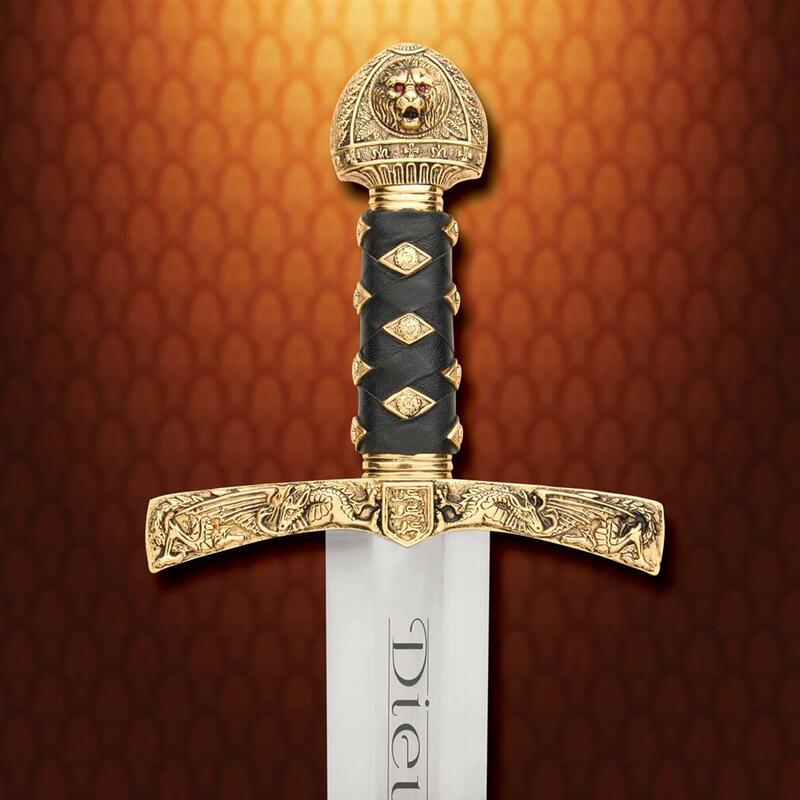 Lavish pommel, cross guard and grip decorations have been plated in 24 carat gold with faux rubies set into the eyes of the lion on the pommel. Soft black leather wrapping finishing on the sturdy grip. 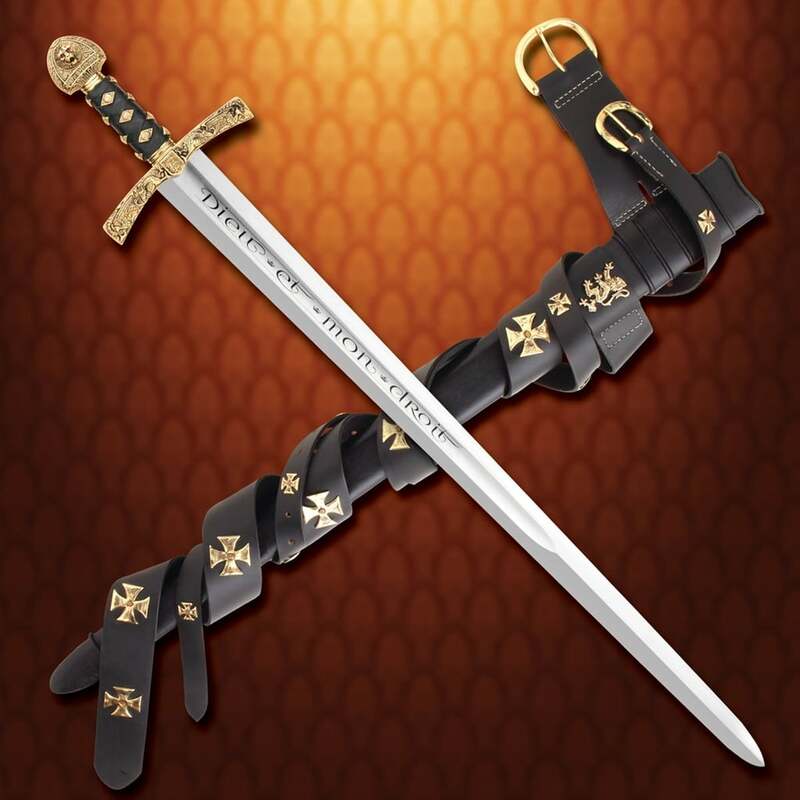 Amazing black soft leather matching period correct covers the wooden scabbard and is adorned with gold plated fittings of lions and crosses. 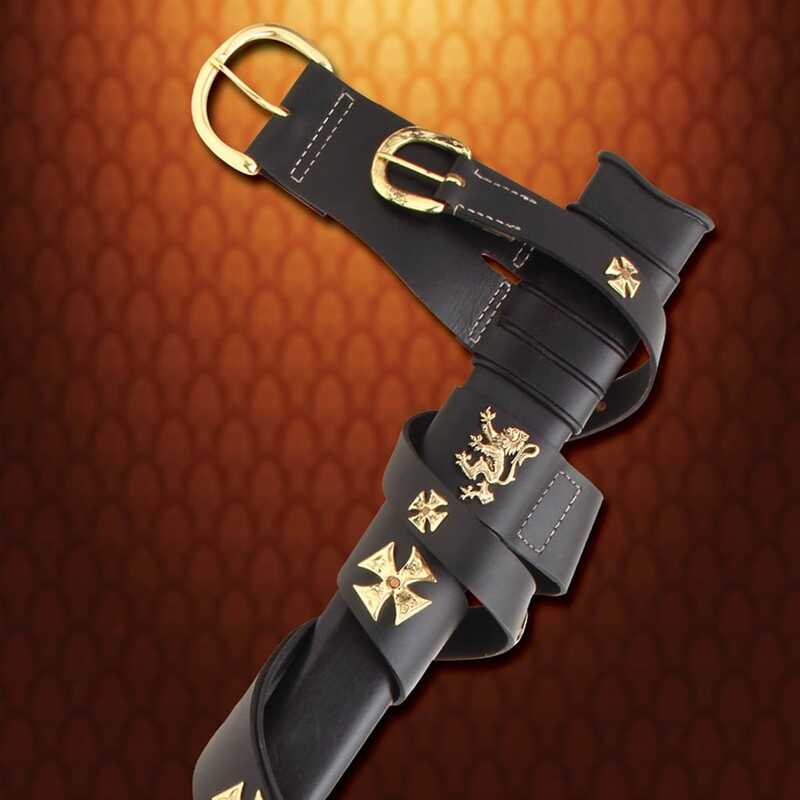 Dual sets of buckled long belts are attached. Blade length 81cm x 5cm. Do not miss this one. This is a must have.